Despite massive recruitment and infernal cadences, the Taiwanese manufacturer is struggling to keep up with demand around the new iPhone models. 540,000 units .. per day. This is the current rate of production of the new iPhone. 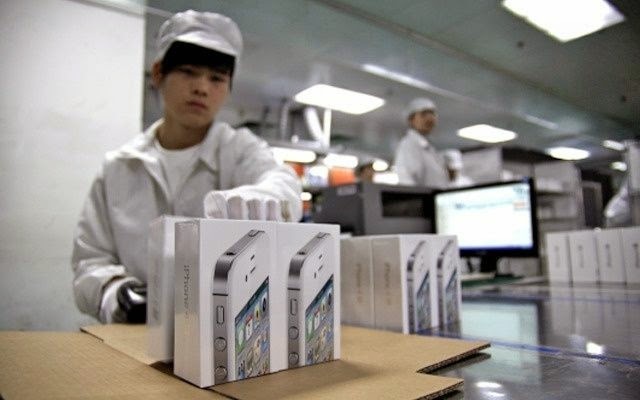 "We produce 140,000 iPhone 6 and 400 000 iPhone 6 Plus every day, the highest volume ever made, but this is insufficient to meet the pre-orders," says the Wall Street Journal a person involved in the production of new Apple smartphones. Recall that Apple had received 4 million pre-orders in the first 24 hours. In the United States, all models will be available in the coming days but to buy iPhone 6 Plus is an achievement and delivery times are now 3 to 4 weeks against at least 7 to 10 days for an iPhone 6 "classic". Besides the difficulty of production, the other reason is the limited supply on the screens 5.5 inches and the difficulty of assembly. Indeed, according to the person quoted by the Wall Street Journal, there would be a waste of 40-50% for these models against 15% for the iPhone 6 equipped with a 4.7 inch screen. This would be linked to the technological choices of screens (integration of touch sensors in the LCD) made ​​by Apple, choices that have reduced the thickness of the device to a level not seen for an iPhone. The high rejection rate is considered normal, however, it decreases fairly rapidly once the assembly cycle is properly controlled by the manufacturer. The manufacture of certain components of the iPhone 6 (the metal shell) and assembly are carried out by the Foxconn factory in ZengZhou, mainland China, the site is dedicated exclusively to the new Apple models. This plant, which has 100 production lines operate 24 hours 24, employs 200,000 people and recruitment continues. In total, Foxconn met more than 1 million employees.